Conflict is a major concern in both your personal and working life. 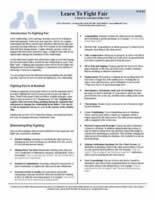 If not dealt with quickly, tactfully and efficiently conflict could lead to serious confrontation and/or a complete breakdown of relationships. It could even lead to violent and dangerous situations. A conflict could stem from a minor complaint that was not resolved and left to fester. This could then gradually grow into an insurmountable problem. A conflict can be as innocent as sibling rivalry - arguing over a toy - to a dispute with a customer or colleague over a product, service or procedure to a war between countries in extreme cases. There will be times during the course of a working life where you will have to deal with complaints and conflicts. Your successful handling of these situations will have a direct bearing on you and your organisation's reputation for customer service and its continued success. Conflicts normally occur when people have different ideas and believe they have the superior view point. This is particularly true of conflict in the workplace - between colleagues and/or management. The issue becomes one of power, of gaining control or of 'being proved right'. To resolve this type of conflict it is necessary to move from the power clash, to one of service and responsibility - to work for the good of the group rather than individuals within it. In resolving a conflict it should be more important to make sure that both parties needs are met rather than winning the argument. 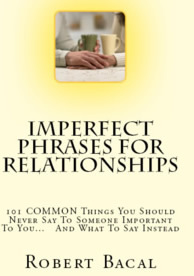 Conflict can also be caused by a lack of communication or by a failure to recognise the needs of another person. Whatever the scenario, the main component in conflict is misunderstanding. These misunderstandings can occur due to differences in age, culture, race or religion. 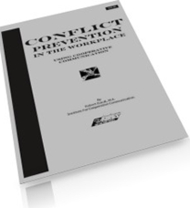 Conflict situations can include customer related issues, misunderstandings or communication barriers or Conflict among work colleagues. A complaint, no matter how trivial it might sound to you, is legitimate in the eyes of the customer and must be taken seriously. Customers come into your organisation to do business. They have a need and they believe (or hope) that you will be able to fulfil that need. They are willing to pay you for your time, effort and service and they expect your full and undivided attention. If they do not receive this attention or a satisfactory product or service, then they are not receiving value for their money and then have every right to complain. drug or alcohol related issues. These could include being refused entry or ejection from premises due to their condition and the risk they represent to other customers or staff. No two people are exactly alike - not even twins. People have different points of view brought about by the many influences on their lives. genetics - the things that we inherit from our parents and over which we have no control. These things might involve the colour of our eyes and hair to our health. upbringing - which involves the way in which our parents raised us and the values they instilled in us. economics - our view on life can be strongly influenced by our economic situation, whether we are financially comfortable or struggling to make ends meet. education - our level of education will also have a large impact on what we think and how we view the world. the environment - this means the environment in which we operate: our neighbourhoods, housing situation, and the people we are surrounded by. life experience - involves all the experiences we have had in our lives, the successes and failures, the lessons we have learned from these experiences and the many roles that we have played to date. We can avoid these situations by reaching an understanding between the parties. This can be done by communicating openly and honestly, being willing to listen to the other person's point of view - remembering that the influences that have shaped their beliefs and view points could be very different to yours - but no less valid. Not paying attention. Customers or colleagues who are trying to communicate with you will feel ignored and frustrated if you allow yourself to become distracted. Not paying attention to them is rude and unprofessional and stops the communication flow. The result of this could be the loss of a customer, a complaint about you to your manager or a loss of respect. Do not allow yourself to be distracted - focus your attention on what is being said and really listen to your customer or colleague. If you must interrupt the conversation to answer the phone, or speak with another staff member, excuse yourself. Not looking at a person. Maintaining reasonable eye contact with the person you are communicating with is very important. It shows you are paying attention and that you are interested. By not looking at the person who is talking to you, you are indicating not only disinterest, but are also making them feel uncomfortable. They may think you are not being honest or trustworthy - you may be trying to hide something from them. Interrupting. Interrupting someone when they are talking is a major barrier to open, two way communication and could easily cause conflict. Once again, you are indicating that you are not interested in what they have to say. Breaking into what they are saying to make your own thoughts known, or worse, to finish their sentences for them is no way to gain a proper understanding of the other persons needs and expectations. Allow them to finish what they are saying and pay attention. If, for some reason, the conversation needs to be wound up, then take control by asking leading or closing questions - that allow for short answers only. Tone of voice. The tone of voice used during a conversation could also start a conflict. Arrogance, demand, anger, whining, disinterest etc all add a tone to the voice that can cause people to react negatively. When dealing with customers or colleagues you should keep your tone friendly, calm and pleasant. At the very least, if you do feel annoyed you should try and keep the tone of your voice neutral. Sarcasm. Sarcasm has no place in any conversation between two people and is an open invitation for conflict. There are times, in everyone's working life, when you think "If I get asked one more stupid question, I'll go mad! ", but sarcasm in the face of a silly question or remark does nothing but hurt the other person and, possibly, dent their self esteem. We often forget that not everyone knows everything we do about our industry - in fact most customers know very little about the tourism and hospitality industries. We can forgive our customers or junior colleagues, therefore, for asking questions that may have obvious answers - obvious only to someone who knows. Show patience and understanding - it's just as easy and much more pleasant than giving a sarcastic or snide answer. Rudeness. There is never any excuse for rudeness. A respectful and courteous attitude on your part should avoid or defuse any antagonism a person brings with them into your office. Should you find yourself never the less, dealing with a person with whom you simply cannot get along - rudeness is not the solution. Speak to your supervisor or manager and ask for their advice. Cultural differences. Cultural differences can be the source of a great many conflicts. When dealing with people from other countries, other beliefs and so on, it is easy to misunderstand words, gestures and customs. If you want to excel at your profession it is a good idea to familiarise yourself with some of the more prevalent customs of other cultures. On the whole, however, people from all over the world, from all walks of life and from all creeds respond well to respectful and courteous behaviour. Do not make fun of customs you don't understand. Treat everyone you deal with, both customers and colleagues, with respect and you should do very well. Any one of these points could provoke a customer or a colleague into complaining - which could then, potentially, turn into a conflict. It is a good idea therefore, to remain courteous and polite when dealing with other people. A conflict does not happen suddenly. People do not go from calm and cool one moment to angry and aggressive the next. Conflict builds. It may take hours, weeks or even years. However long the process takes, there are always signs that a conflict is building. If these signs are recognised early then steps can be taken to quickly and efficiently resolve the situation before it becomes a major issue. These are all signs of irritation, dissatisfaction or impatience. If you recognise any of these signs when dealing with a complaint or a conflict you should endeavour to find out the reasons why the other person is starting to feel impatient or irritated. You can do this by asking relevant questions and listening carefully to their answers. In this way you can reach an understanding of the issue at hand and perhaps avoid escalating the situation. Hand gestures - finger poking and pointing in an aggressive manner. People wish to be taken seriously. If they are not, or are repeatedly ignored, can become aggressive and a threat to safety and security of the organisation and the people in it. Equally, people who are under the influence of drugs or alcohol, and are not in control of themselves, can present a danger to those around them if they are not handled carefully. remain calm yourself and to try and calm the other person. bring in the assistance of relevant management, security and/or authorities such as police as soon as possible. You cannot simply make a conflict go away by giving the complaining party whatever they want. Resolving a conflict is a delicate balance between reaching an agreement between parties while at the same time staying within the constraints of your organisations requirements and policies. Customer good will & repeat business. If your organisation is dependent on customers coming back again then this is an important consideration. Organisations reputation. A dissatisfied customer will tell many people that they received bad service from an organisation who did not meet their needs and this can lead to a loss of business. Direct cost. Compensation to a client can be in the form of cash, additional products or services, or an upgrade to the product or service they have purchased. If compensation is to be of a monetary nature then the cost to the organisation must be considered. Organisation policy on refunds or exchange. Most organisations will have policies on giving refunds. Some companies will give money back, others will give credit for products or services they provide. In the tourism industry you must also consider the refund policies of the principals you deal with. For example some advance purchase airline tickets do not allow refunds at all within a given period prior to departure and if the customer does not use the ticket, they have lost their money. So before agreeing to provide a solution to the customer, you must first determine if it is financially viable to do so and to take the organisations policies and procedures into account. When a person has purchased a product or service from your organisation and it is not what they expected it to be, or does not perform properly they will feel dissatisfied and disappointed. As a consequence when this person complains they generally believe that they have a legitimate reason for doing so and they may do so long and heatedly to the first person they come across in your organisation. This might be you - even though you had nothing to do with the original sale and have never met the customer. The worst thing you can do is tell them its not your problem. Take ownership of the issue, regardless of whether you were involved in the problem or not. "Passing the buck" at this point is not going to help matters. The customer approached YOU, so deal with the issue and don't pass them off saying "It's not my problem" or "The lady who handled this is not here now....". At that particular moment in time the customer does not see you, the individual, they see you, the representative of the company, so it is you, the representative of the company, they expect to help them. how they see the situation being resolved - this will give you an idea of the person's expectations and how they impact on the organisation's policies and procedures. Finding a solution to a conflict involves a certain set of skills and techniques. It takes a step by step approach to ensure a positive outcome for all parties concerned. You also need to develop a clear understanding of the expected outcome. This could be; an agreement on acceptable compensation for faulty products or service a better relationship with the other party a mutually acceptable solution to an ongoing work issue the other person to respect your opinion With firm expectations of what would be an acceptable outcome in mind, you can then begin to negotiate with the other party until an agreement has been reached. Brainstorm for options - When all parties concerned have had the opportunity to explain their feelings on the matter, then all of the issues should be out in the open. At this point you can look at the various options available. There might be a number of solutions to the problem which could work for everyone involved. Don't get stuck on one solution just because it's the first one you find. Be creative about the possibilities available to you, and look for common ground. You can decide from the options later. Evaluate solutions - In deciding the best result from the options available you should weigh up the pros and cons of each one based on the organisations policies and procedures, cost or budgetary constraints, legal ramifications and mutual benefit. When discussing and evaluating options it is often the case that each party will prefer an option that most closely gives them what they want regardless of its impact on the other party. In these cases you need to negotiate and compromise so that an agreement that both parties are satisfied with can be reached. The Art of Compromise - Compromise does not mean giving in or losing. It means looking for ways to meet each others needs by making concessions to the other party involved. Compromise involves negotiating what you are, or are not, prepared to do in order to get what you want. You should be open to good arguments rather than pressure or manipulation from the other party. Be open to reason but closed to threats. In difficult conflicts it might be necessary to bring in another person to mediate. This person might need to be skilled, mutually respected, and not have a personal interest in the outcome. Decide on a mutually acceptable solution - When all available options have been tabled and considered then you can decide on the best one - the one that keeps both parties happy! Make sure each person takes responsibility for agreeing with the decision. This may take the form of a written agreement or contract, or a letter outlining what was agreed to. Be patient and understanding. Don't interrupt them. Once they have had their say, they will generally be a lot calmer and easier to reason with. The problem can then often be resolved in a civilised manner. At the appropriate time, acknowledge their point of view and ask them to give you the courtesy of now listening to your (organisation's) position. For example; "I understand what you are saying, may I now explain our position to you, and then we can see how we could solve the problem together?" With this information in hand, an organisation can then use it to continually improve its products, services, image and reputation. Letters (or emails)of complaint. These should always be taken seriously. A written complaint should be answered immediately - even if it is simply to advise the customer what will happen next. An investigation of the complaint should follow and the customer should then be advised of the outcome. A report of the complaint and the outcome should then be sent to the relevant supervisor or manager for any further action needed. Notes taken during a phone call or after a face to face meeting. Once again, it is good business practice to record the details of complaints or discussions about conflicts. These notes can be used for the organisation's continuous improvement programme but they can also be used as reminders of the conversation should a dispute arise. In a matter as important as a complaint or a conflict, feedback can also be sought by way of a phone call, letter or perhaps even a personal visit the person concerned to ensure that any issue that existed between the conflicting parties has been successfully resolved. Are the organisation's policies and procedures as effective as they could be? Was the service/product faulty in some way? Did we resolve it effectively? This is a very important question from the customers and the organisations point of view. Ask critical questions about the outcome - was it the best possible option for every one concerned? Did it cost your organisation money? Too much money? Was the outcome worth the cost? Evaluate the customer's reaction to your proposal - were they happy with it? Were they prepared to be reasonable? Will they continue to do business with you? By asking these, and other relevant questions, you can make improvements to the organisation. This could lead to greater customer and staff satisfaction which will have a positive impact on the organisations continued success and prosperity. A range of training and business resources dealing with subjects such as; selling skills, negotiating skills, change management, communication skills and business planning to name a few.